In a fairly dull movie year, five go straight to audience hearts and stay there. Here they are in case you want to see them before the Oscar nominations come out. 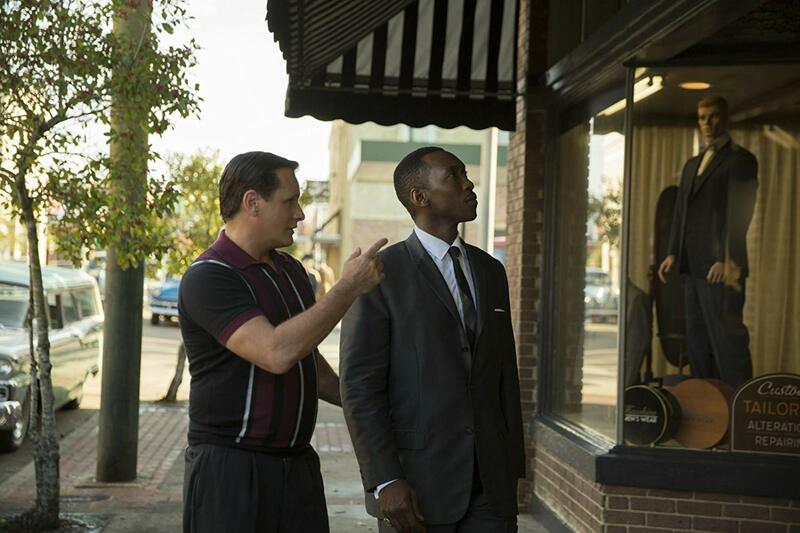 Green Book, a true story from 1962, is a rare blend of comedy and tragedy delivered in very sophisticated ways. Concert pianist Don Shirley (Mahershala Ali) lives in splendor atop Carnegie Hall and hires a man to drive him on a concert tour that will end in the deep south. The driver is tough guy Tony Lip (Viggo Mortenson). Watching their trust grow as they drive through the tragedy of Southern racism is truly a piece of art. The Wife gives us Joan (Glen Close) and Joe (Jonathan Pryce) as they leave for Sweden where Joe will accept the Nobel Prize. Joan has spoon fed him for years (he’s a man of the ‘50s and she is a wife of the ‘50s). She is a writer too, but he has won the prize. Her anger at her position boils over and spurs Glen Close to a performance that delivers the isolation of a deeply intelligent woman. The audience is absolutely silent, stunned by her performance. Bohemian Rhapsody is an original piece of magic that captures hearts. All four bandmembers pour their originality, talent, and energy into performances that swell as they sing around the world. In an astonishing performance, Rami Malek creates Freddie Mercury as a superb musical explosion. Writers and directors concentrate on Malek’s extraordinary performance rather than lingering on problems that surface. The band’s chaotic musical brilliance captures its audiences. A Private War is surely the surprise stunner of the year. Rosamund Pike creates a portrait of Marie Colvin, a dedicated reporter determined to deliver to the world the tragedy of the erasure of millions of people in the Middle Eastern wars. Pike studied Colvin’s voice and way of moving on TV recordings and creates the reporter in a way so compelling that audiences are stunned. Both reporter Colvin and her interpreter Rosamund Pike – one who lived it, one who captures her experience – are a compelling piece of history. RBG is an intricate portrait of Supreme Court Justice Ruth Bader Ginsburg that lets us follow her from high school to the Supreme Court. This documentary becomes a rare capture of a public person because of Ginsburg’s willingness to play herself, in her 80s, in the film. Carrying Phi Beta Kappa, Harvard Law Review, and distinction in all she does, she fights for the recognition of women and their rights and changes the world for women as she does it. All five of these true stories give us the substance of some remarkable people living in the culture of their time who had the courage to do something about their beliefs. Intelligent in deep ways and willing to put themselves on the cultural battlefield they are the ones in our country who did something about their passions. Is there anything more exciting than watching strong people create change? This review was posted on January 17, 2019, in Entertainment. Bookmark the permalink.